This is the second part of my postings about ownCloud, an Open source solution for managing your data in the cloud. The first part covered the installation and initial configuration of the BitNami ownCloud stack virtual appliance. I will continue with explaining how to secure access to your data with SSL certificates and using WebDAV in Windows to access your ownCloud files. This interface works well on all sorts of end user devices. But if you want to actually work (edit, copy etc.) with your files on a Windows system then you will prefer to have them available on a Windows drive that you can access directly with any application. There are basically two ways to achieve this: You can either use one of the ownCloud sync clients that are available for different platforms and allow you to synchronize a local directory with your ownCloud files (just like the Dropbox client for your Dropbox storage). 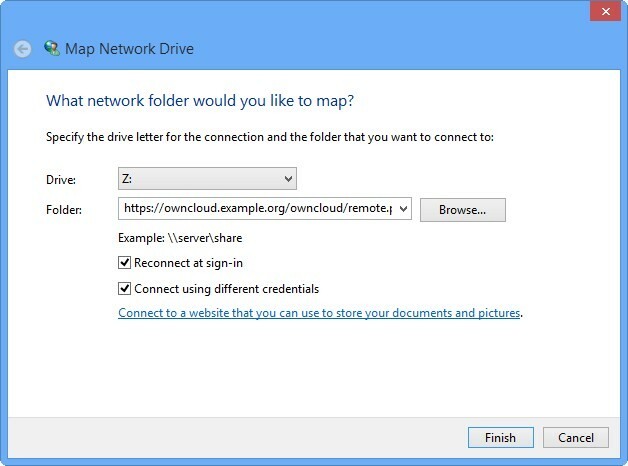 This way you can make your files available on a fast local drive and independently from a network connection. On the other hand having multiple copies of your files on different devices somewhat defeats the idea of centralized storage, and if you store Gigabytes and Terabytes of data in ownCloud it is just not practical to sync all of it to any device. 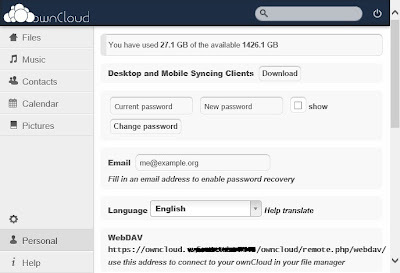 Luckily you can choose to sync only parts of your ownCloud data. For the remaining files I would recommend to access them online through a WebDAV share. WebDAV is an open standard protocol to access files through an http(s) connection. Therefore it is firewall and proxy server friendly (unlike the traditional file sharing protocols SMB/CIFS and NFS), and it is available for all different client platforms. On the other hand plain http is not really secure. No problem if you use it on an internal or firewalled network, but I would not recommend to send your login data and private files over an unencrypted Internet connection. You want to use an SSL encrypted https link for the WebDAV connection, and this is possible with ownCloud out-of-the-box, but ... like with every application using https you will run into the issue that it initially uses auto-generated self-signed certificates that no browser will trust by default. You need to have authoritative access to a public DNS domain and register your ownCloud server's name in it. For the following instructions I assume that the name owncloud.example.org resolves to the IP address of your ownCloud server. There are many commercial providers that offer trusted SSL certificates. I chose Startcom's StartSSL service, because they offer Class 1 certificates for free and use a very fast and purely electronical/automated way to validate that you are the legitimate domain holder. If you use their services for the first time then I suggest to choose their Express Lane to get a free certificate for your domain really quick. With the StartSSL certificate wizard you can even auto-generate a private key and the certificate request (CSR) without the need to run cryptic openssl commands in a shell. Of course you can also use any other provider to get your own certificate. In the end you will only need a certificate that matches your server's fully qualified DNS name (like owncloud.example.org) stored in a server.crt file and a corresponding private key file. When generating the certificate in StartSSL's web interface be sure to save the password protected private key in a text file. For usage with apache httpd you need to have the private key in decrypted format. You can use the "Decrypt private key" function from the StartSSL's toolbox to generate that. 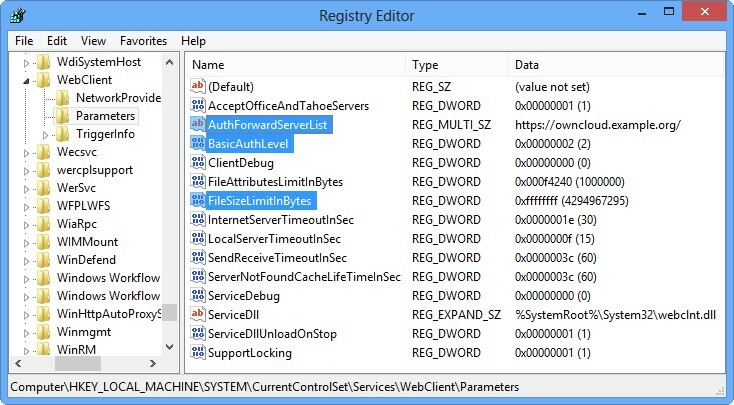 Store it in a file named server.key. in the config file /opt/bitnami/apache2/conf/extra/httpd-ssl.conf. Hint: The free StartSSL certificates use an intermediate CA. Download the StartCom Class 1 Primary Intermediate Server CA certificate and store it as the above mentioned file. 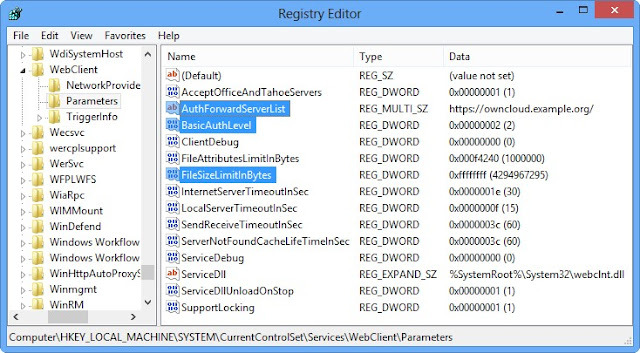 If you encouter errors then check the log files in /opt/bitnami/apache2/logs to get a clue of what's wrong and double check the syntax of the config files and the availability of the certificate files. The path will be displayed with either a http:// or an https:// prefix depending on what protocol you used to access the web interface. Both ways will work, but remember that https is SSL encrypted and http not. The automatic "Reconnect at logon/sign-in" doesn't work. The connection will still be shown in Explorer, but won't get restored. When selecting it you will be prompted for credentials again (although you already saved them). To overcome these restrictions you can use a third party WebDAV client instead of the Windows built-in one. 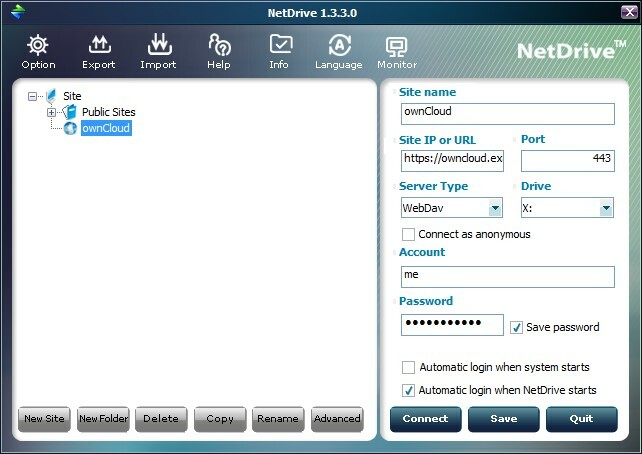 I have tried NetDrive which is free for personal home use. It worked well for me in Windows 7 and 8 and also showed a better performance. To enable https select "Use HTTPS" in the connection's advanced options. You may also need to choose a character encoding other than "System default" here if you use non-english characters in file names. To properly display e.g. German Umlauts I had to choose "UTF-8" here. BTW, didn't you find OwnCloud to be sluggish somehow? Thank you for article. How did you increase size of the data folder? I added a second large disk to the VM and mounted in onto the data folder. There might be different ways to do it, but I liked the idea of separating the data from the OS.